Borla 40358 - Pro XS Muffler In/Out: 2-1/2"
Flowmaster 8042541 - 40 Series Original Muffler Offset In/Center Out: 2.5"
Dynomax 17283 - Ultra Flow SS Welded Muffler In/Out: 2-1/2"
Magnaflow Performance Satin Stainless Mufflers are the perfect choice if you are looking for performance, quality and sound. 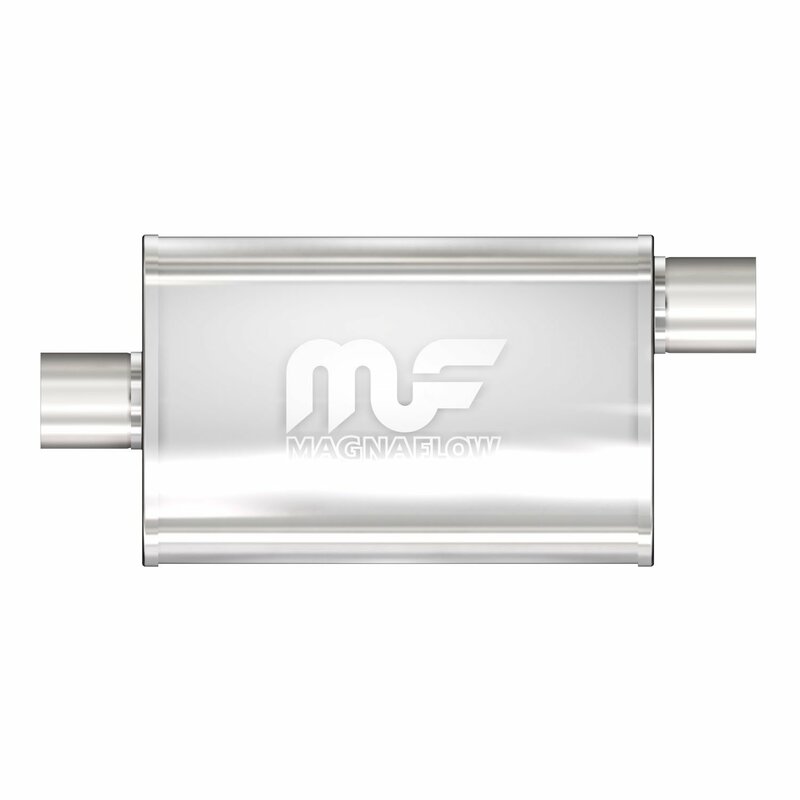 Magnaflow uses a straight through perforated core for low back pressure that improves the horsepower output of your engine. By using 16-gauge stainless steel for the body, end caps, and core you get long life for your money. By densely packing in the stainless steel mesh and high density high temperature resistant acoustical suppression material you get that signature Magnaflow rumble that is built to last. 11226 is rated 4.7 out of 5 by 6. Rated 5 out of 5 by Saxman from Magnaflow Mufflers Works and Sounds Great, I am a Fan of Magnaflow Products. Rated 5 out of 5 by herb63 from great quality, great price Had Flowmaster and they rusted through decided to go stainless. 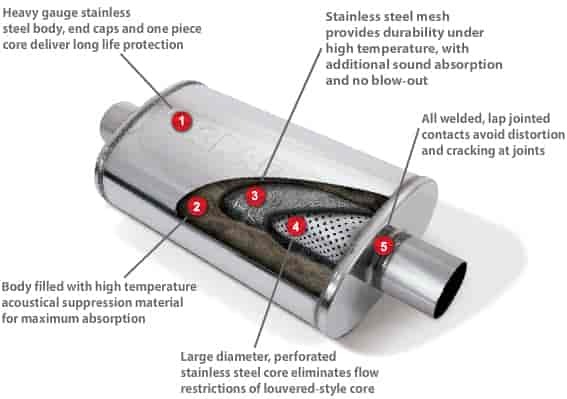 These mufflers sound better and I am sure they will last longer as well!! Rated 5 out of 5 by Mike71 from Very nice muffler Put these on a big block nova noticed right away how quiet they are inside while driving.Have nice rumble when you get on the gas. Ran my best ET of the season with them.